I was among the thousands of commuters who got gravely inconvenienced by the sudden heavy traffic along Elliptical Road in Quezon City (QC) as well as its connecting roads last Friday night. The traffic jam which lasted until Saturday midnight. 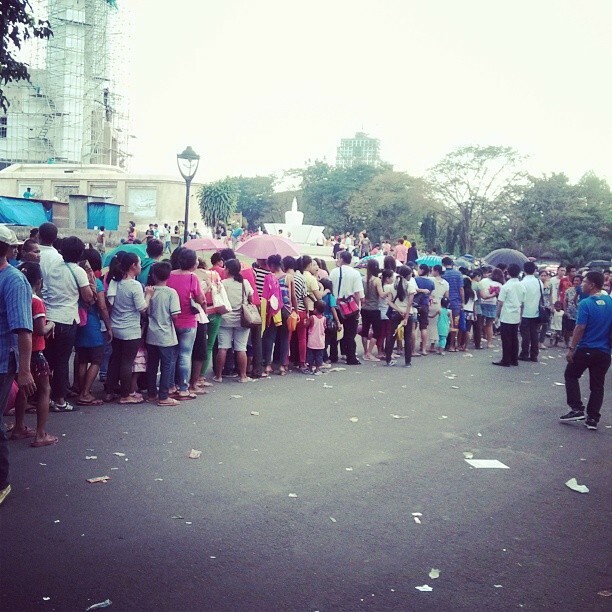 While heavy traffic is expected during Fridays especially when it is a pay day, an outreach mission dubbed ‘Kabayan ko, Kapatid ko’ by Iglesia ni Cristo (INC) held in QC Memorial Circle is really the reason behind that night’s traffic congestion in the vicinity of Elliptical Road. Coming from a friend’s birthday party near the ABS-CBN compound, I walked to the MRT Quezon Avenue Station, a distance of about ten minutes. You have to cross the station to get to Eton Centris, which serves as a terminal of sorts for Fairview-bound jeepneys. The time then is 8:30 PM. Upon descending the station, I immediately saw hundreds of people queuing. I’ve been familiar with the area for several years now but I haven’t seen that many people waiting for a ride home. It’s as if there’s a lightning demonstration taking place in the area at that time. I walked until I reached a spot not too far away from the mall’s entrance. Shortly before I reached Agham Road, a pedicab offered me a ride. The charge is P30 for a trip from Lungsod ng Kabataan to Ninoy Aquino Parks and Wildlife and vice versa. I accepted it. From there, I walked all the way to PHILCOA. The entire ‘walkathon’ must have taken me an hour. You’ll see jeepneys with four ‘extra’ passengers (or ‘sabit’) as well as buses with passengers who are literally hanging by the vehicle’s entry spot. Taxi drivers must be having a heyday too! This grave inconvenience could have been avoided in two ways. First, INC should have scheduled their activity on a weekend. Then, QC Mayor Herbert Bautista should have anticipated the impact of this to his constituents. Who remembers him or Chairman Francis Tolentino of the Metro Manila Development Authority going to the media to discuss alternative routes? Please don’t get me wrong. I am not against INC’s outreach activity here in QC. That’s commendable. My issue is, they should have timed it on a weekend. Instead of having the media focus on their outreach work (which no doubt is something INC would have wanted), the reports focused instead on the plight of affected commuters. More importantly, our local government must have laid out alternative routes in advance for us commuters. Whatever happened to proactivity? If Mayor Bautista can’t be decisive on simple issues like implementing traffic rerouting schemes and suspending classes during bad weather, how can he be expected to deal with complex issues like the relocation of informal settlers?